It is our goal to help you obtain and manage the care you need. Women’s Health and Family Medicine patients can securely access their own medical records online, schedule appointments, review test results, request prescription refills and exchange non-urgent emails with their physicians using My WVU Chart. 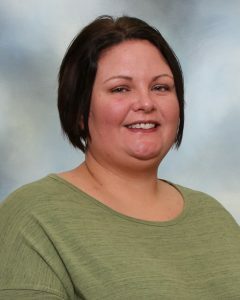 For more information about My WVU Chart, please check out the My WVU Chart website at mywvuchart.com or inquire at your next appointment. Call 304.725.6343 to schedule an appointment. Women’s Health and Family Medicine can be your families choice for primary healthcare in Jefferson County. We provide the full range of primary healthcare, for infants, adolescents, men and women. We also provide obstetrical and gynecological care too. We provide important well-woman health exams, screening tests, and are devoted to offering quality and individualized healthcare to women. Many minimally invasive procedures can be performed in our office; our physicians can provide surgical care in a hospital setting at Jefferson Medical Center in Ranson. We believe in putting your care, comfort, and well-being first with a caring, compassionate approach. At Women’s Health and Family Medicine, you have an entire, highly experienced OB-GYN team right here in your community. We treat all ages of patients from infants to geriatric adults. We are trained to diagnose and treat the full range of medical problems people experience – from a sudden illness, to hypertension, to working with you to manage your daily health. 1. Do you only take care of pregnant women? We provide the full scope of women’s health services including: general well-woman care from adolescence to menopause and beyond, pre-conceptual counseling, preventive care, such as Pap test, breast exams, cholesterol screenings, sick visits, etc. 2. Do you have evening hours? Evening hours may be available upon request. Please ask the Patient Service Representative about them when you call to make an appointment. 3. How am I notified about test results? 4. How can I get a refill for a prescription? Contact your pharmacy to request medication refill. The pharmacy will send us the request. Please allow 72 hours for the request to be processed, both by our office and the pharmacy. All controlled substance medications require a written prescription from your physician. 5. If I use Women’s Health & Family Medicine for my obstetrical care, where will my child be born? All of the physicians (and midwife) have full admitting privileges with University Healthcare. Childbirth occurs in a warm and comfortable, family-centered environment. Spouses, partners, or family members are encouraged to support and share in the birth experience throughout your stay. 6. Are epidurals available at Jefferson Medical Center? Yes, epidurals are available 24/7 at WVUH-East/Jefferson Medical Center. 7. Are there any foods that I should avoid during pregnancy? * Caffeine can be consumed in moderation (less than 300 mg per day) AFTER the first trimester. During the first trimester, it is safest to avoid all caffeine. * All raw vegetables should be thoroughly washed before eating to avoid possible exposure to toxoplasmosis. Which may contaminate the soil where the vegetables grow. 8. Tell me more about Gestational Diabetes. Gestational diabetes is a kind of diabetes that can happen during pregnancy. It usually goes away after delivery. It is treated by controlling blood sugar. Some women can do this with a special diet for diabetes and staying active. Other women will need help from medication to control it. Gestational diabetes can cause the baby to get too big — 9 pounds or more. A baby that is too big can cause problems during delivery and can result in the baby can having breathing problems or blood sugar that is too low at birth. However, women with gestational diabetes can give birth to healthy babies by keeping their blood sugar under control. 9. Is elective labor induction recommended? A woman and her doctor or midwife can decide to start labor near the woman’s due date by a choice made together. “Elective” means that it is done for reasons other than a problem with the pregnancy. Elective induction of labor is starting labor near your due date but before your body has gone into labor on its own, usually by medication. It is a complex issue and generally not recommended for women before 39 weeks of pregnancy (1 week before your due date). The decision should only be made after a thorough discussion with your doctor or midwife.